With the advent of her new Netflix show, I’ve been hearing more about Marie Kondo and decluttering than ever before (and that’s saying something!)! 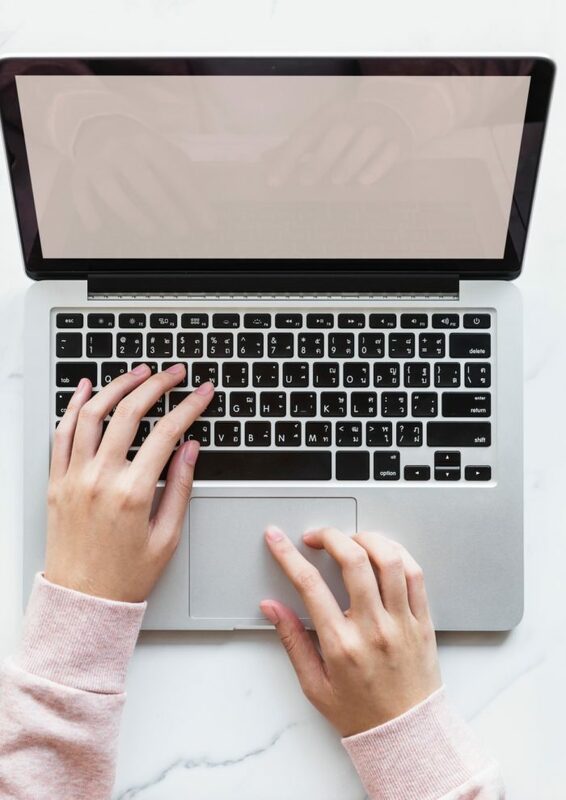 It’s the hippest and trendiest topic out there it seems, but, no, this isn’t another post about what happened to me when I tried to Marie Kondo my life (I haven’t tried) or why you should Marie Kondo yours. What I’m looking to do today is share how you can NOT Marie Kondo your home and still have a space that feels organized, unique, and beautiful. While I’m ALL about decluttering and curating and getting rid of things you don’t love, I’m certainly not about minimalism. It’s something I appreciate and admire but it’s just not the type of style that gets my heart pumping. I’m a lover of what I like to call “controlled clutter.” In my mind it’s a very English way of decorating. Books galore, tons of art, collections on tabletops, candles, piles of blankets at the ready…I love it all. To me this type of decor is cozy, full of personality, and emblematic of the person who lives there – a person with interests and personality. I’ve always been drawn to this style of decorating. I think it also speaks to my love for traditional decorating…I like trim, a ruffled bedskirt, chintz, patterned lampshades, English roll-arm sofas. To me all of that detail adds so much interest, and appeals to me much more than the clean lines and sleekness of the currently ubiquitous minimal/modern/Scandinavian styles. To me maximalism has two facets. There’s the aspect of having a lot of stuff, and then there’s the aspect of high-energy rooms. I forget where I read about this, but rooms can be defined as high energy or low energy (ie, calm). The high energy rooms are the ones with lots of color and pattern, while a low energy room is full of neutrals and thus, more calming. I always thought it was interesting that I was drawn to high-energy rooms since I consider myself one of the least energetic people I know, haha! 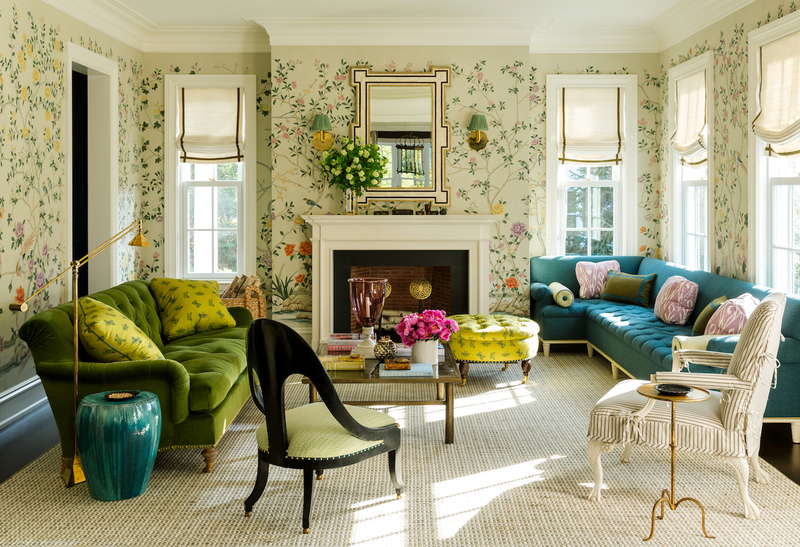 But I think it plays into the whole controlled clutter thing – I love rooms that have pattern on top of pattern and color all over, in a purposeful way. In my own home I utilize both aspects of maximalism – I have a lot of stuff (oops), and I have a lot of pattern and color. While I don’t think you should run out and buy tons of stuff to be a maximalist, I do know that most of us don’t need to do that because most of us already have more stuff than we know what to do with! My point is that you don’t HAVE to Konmari it all – you can embrace maximalism if it’s a style you like. 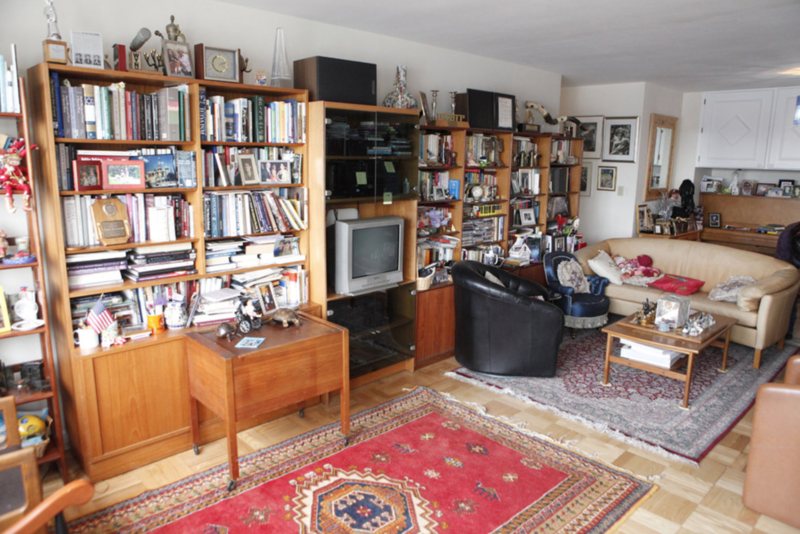 The biggest thing to be careful of when it comes to controlled clutter is making sure it’s not ACTUAL clutter! 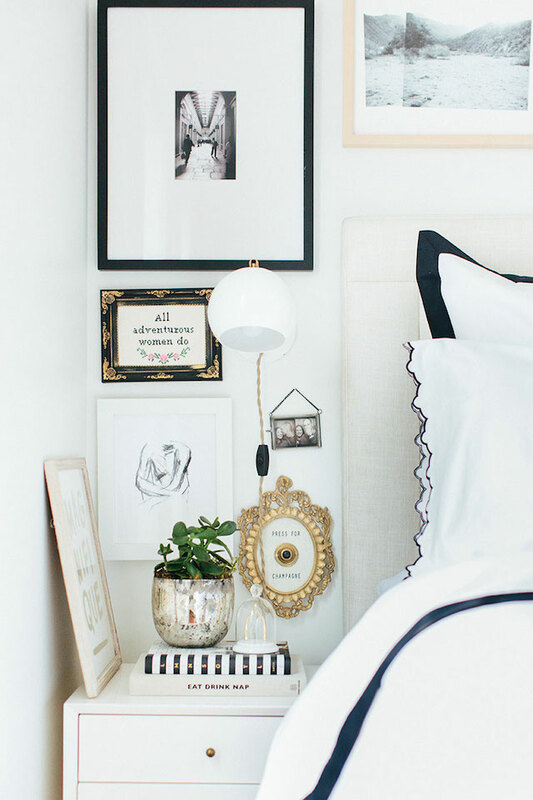 If you’re drawn to high-energy, maximalist rooms like I am, here are a few ways to make sure that you get a maximalist look and not a cluttered, messy look. Seriously – throw out anything you don’t love. The stuff you don’t love is just clutter, bogging you down. Let go of the guilt – give it away to charity. Then, with what’s left you can get down to the business of styling, organizing, and making maximalist magic! Nobody can transform true clutter into stylish design. Piles of magazines can be organized to look cool…piles of paper, not so much. Cute pens can look great in an old Diptyque candle jar…raggy, random old Bics can’t. You don’t have to get rid of everything you own but some things should not be out on display. That includes random paperclips, rubber bands, papers that need to be dealt with, canisters of coffee, boring clear vases that only look good with flowers in them, remote controls…you get the gist. If it’s not cute, put it away in a cabinet, drawer, or closet. Lots of scattered things all over the place = bad. Pulled together collections = good. Here are two great examples from Rita Konig. First of all, her pattern mixing between the floral wallpaper, heart bed linens, and chevron headboard is expertly executed. But I’m focusing on the bedside table. Look how great it looks! The reason all of those lotions and things look so good right there and not terrible is because she corralled them together on a tray – to quote Ina Garten, how easy is that? She also put the taller items in back and lower items in front which makes good organizational sense and also looks better. Then she casually stacked some books, threw some flowers on and voila. Perfect. On the right hand side above you can see how Rita pulled together a disparate collection of candleholders. They look great together but would look bad and cluttered if they were haphazardly scattered around her home. Further pulling the collection together are the lime green tapers she used in each. 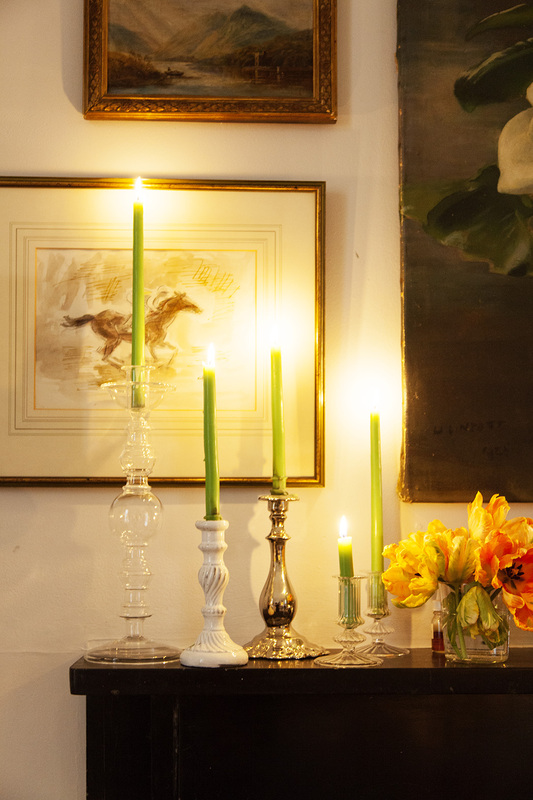 If you have a collection of candles, vases, plant vessels…try putting them together! They’re instantly going to look eclectically cool and purposeful rather than messy and cluttered. Collections are fun and tell you something about the person, so I say, embrace them! To put it bluntly, your stuff has to be styled or else it looks like a mess. Not over-styled, but it has to have some intention to it or else it’s probably going to look messy. That means that books should be purposefully stacked, probably in a pyramid shape with larger books on bottom and getting smaller towards the top (I say probably because sometimes you can do a more eclectic look but the pyramid is a safe bet). 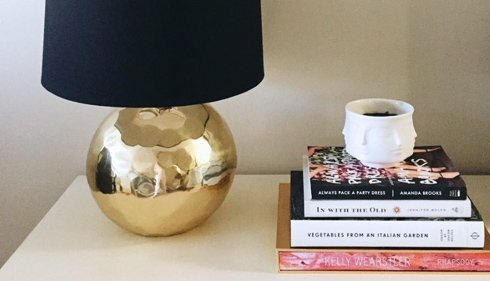 It sounds crazy but make sure your books are at right angles on your coffee table. It looks neater! 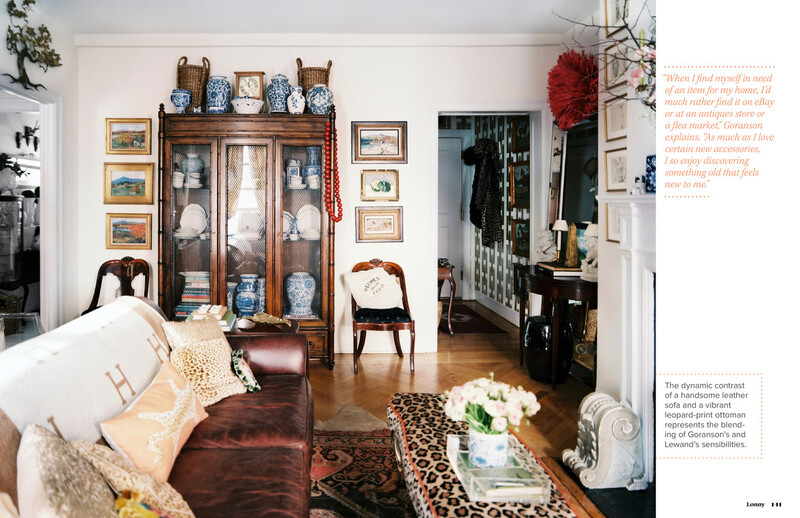 Heather Clawson’s NYC apartment above is one of my maximalist favorites. She’s clearly not a minimalist and I love it. As she states in the accompanying article, Heather prefers homes that look “collected, not decorated”…I agree, and she definitely achieved that goal. Some people would prefer more empty surfaces than that but for me, an empty surface is just an opportunity for styling. Books, jars, bowls, candles, decorative objects…if you only use ones that you love, you’ll feel happy every time you walk by. This is how I decorate in my own home. You can have lots of stuff but it’s a tradeoff – it means more stuff you have to keep styled (and dusted). The more stuff you have, the more you’re a manager of your stuff. That’s why, if you like this style, you have to be really careful about what you keep – it has to be worth the price you pay in effort. Maybe instead of controlled clutter I should call it curated clutter. 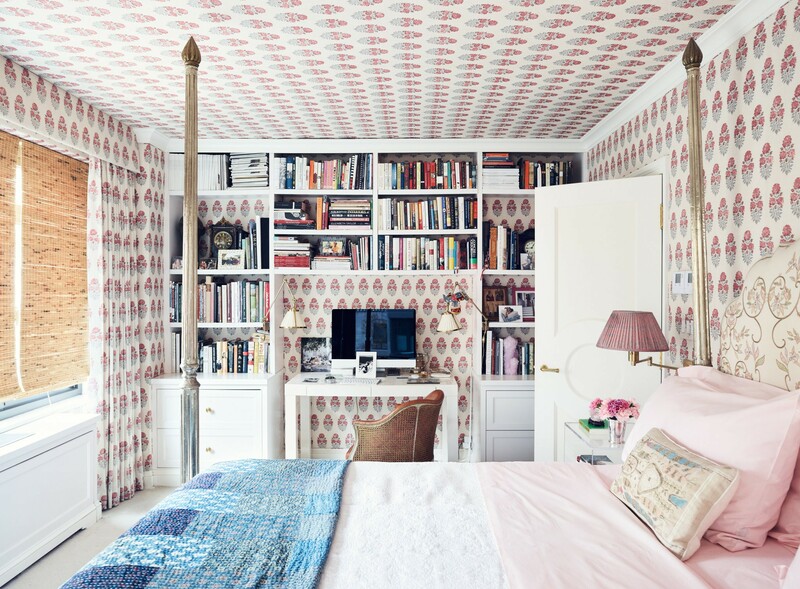 One of the best examples of maximalism I’ve seen is Hanya Yanigahara’s New York City apartment featured in T Magazine. By embracing her love of art, books, and color fully (the gallery wall is hot pink), she created a home that is not only striking, but tells you so much about the inhabitant and her interests. Speaking of bookshelves, I think they’re one of the best ways of bringing controlled maximalism into a space. They add character, color, and personality, yet since they’re together and organized they won’t increase the clutter factor the way other objects can. There are a lot of ways to style bookshelves but for now I want to point out Sara Ruffin Costello’s situation on the left. I love that look of stacked books, and under an antique piece of furniture it looks particularly fresh. The reason why it looks great and not like a mess is because there’s nothing else messy going on in the vignette. There are no piles of paper, mail, magazines, or random boxes on the table. The books are casually stacked but otherwise the surface up top is curated and exists in a clean, neutral color palette. The stacks add irreverence to what might be a somewhat vanilla vignette otherwise. On the right, Caroline Donofrio’s bookshelves look amazing. And it’s easy! Putting together a bookshelf like that is something that really anyone can do – and why would you want to get rid of all of your books when you can make them look that good?! You don’t have to do this – I myself am a huge fan of mixed color and pattern. However, if you have lots of stuff but you want a more pared-down and calm look, try to pull together a neutral color palette. One old trick with books is to turn them page-side out so you get a neutral look without sacrificing all of your reading material. While it’s not a trick I would ever use because I love how book spines look, I think it’s a good strategy for those who don’t like a lot of color. Josh Young’s home tour is a perfect example of this. He’s clearly not a minimalist (rather a lover of antiques, art, and books), but his home has a minimal vibe due to the tightly edited, neutral color palette. You can see how he turned his books spine-side in on the left, and on the right his coffee table is covered with books, which is my preferred look. See how he made neat stacks with right angles? It sounds fussy but it works and it’s not difficult to do! Jessika Goranson’s home tour in Lonny has always been a source of maximalist inspiration to me. 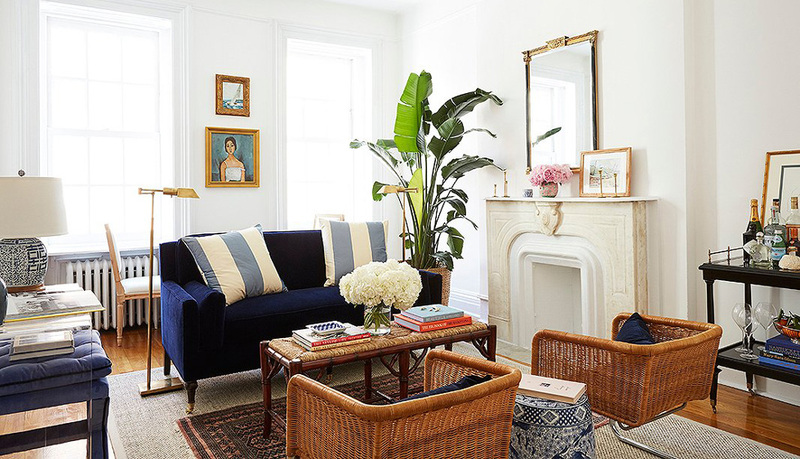 She utilizes a couple of strategies – the blue and white vase collection looks impactful and beautiful, and the tray on the coffee table helps to keep the items on top looking curated. The art looks great and she has an eclectic mix of pillows on the couch that create a relaxed and welcoming atmosphere. Cozy, English-inspired perfection. Here’s a great example of jewelry organizing/styling. I’m a firm believer that if you can’t see your stuff, you won’t wear it…and most jewelry is too pretty to be hidden away anyway! Lindsay Coral Harper used various lucite trays, jewelry stands, and boxes to display her colorful collection of costume jewelry, and then added in a little tray in a reflective silver to hold small bottles of perfume. 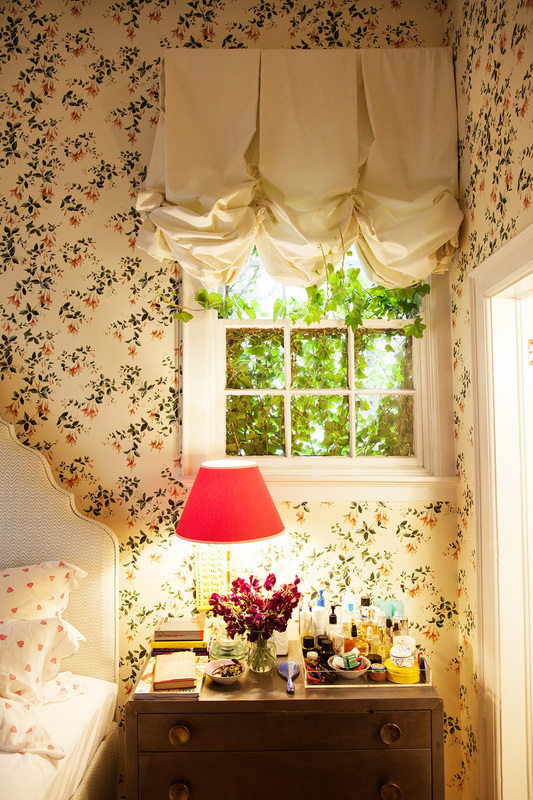 Throw in a few book stacks to vary the height of the vignette, and you’ve got a gorgeous and functional dressing table. The wallpaper definitely adds to the maximalist look and I love it! Nate redid her apartment with floor to ceiling bookshelves, glass storage cabinets and hot pink accents to enable Dr. Ruth to keep her stuff but also live large in a beautiful space. You gotta watch the video, it’s so fun and the makeover, as you can see, is super impressive. 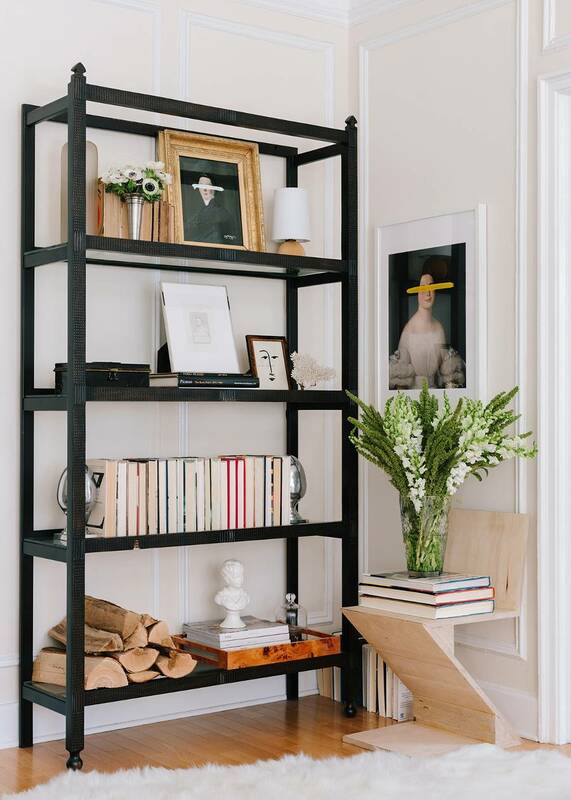 While we aren’t all so lucky to have Nate Berkus available to come over and create places for our stuff, we can take some advice from him – floor to ceiling bookshelves are your friend! You can get them on the cheap from Ikea if you’re in a rental and either leave them as they are or do one of those cool Ikea hacks you always see online if you’re crafty. I hope that helps shed some light onto how you can live with your stuff. I’m all for the KonMari method and think it’s super interesting and useful, but I’m also a lover of maximalist style and think that both are equally valid options. I know that a lot of people feel stressed out by their stuff, but feeling pressure to get rid of everything can be stressful as well. 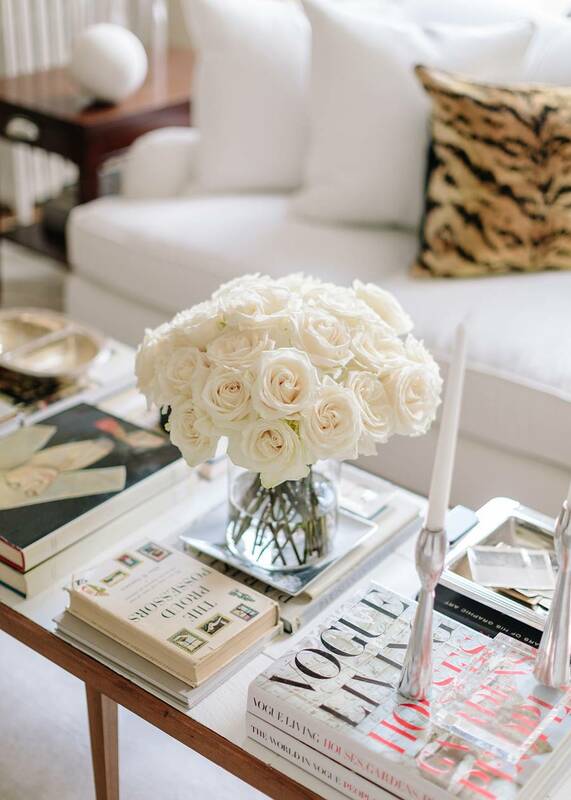 If you enjoy the look of these spaces and take some time to work on weeding through your possessions and styling what remains, I believe you can create a wonderful home for yourself without sacrificing all of your stuff! This was a great post! 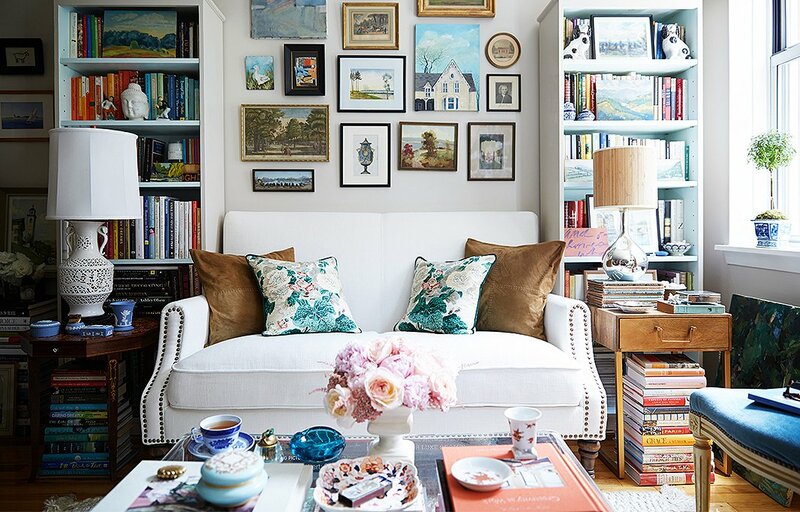 I love the idea of decluttering and everything you own ‘being useful or beautiful’ but there is a warm coziness to being surrounded by books and art that you you love. Thanks for the inspiration! Thanks Vanessa! I agree, I think everything you keep should be useful or beautiful..I think with the Marie Kondo thing some people feel like they need to get rid of EVERYTHING but it’s more about culling what you own and then making the best use of it all! You’re right! I’m going home and trying some of these ideas. And I was thinking all one color scheme but a pop of color is just what my bedroom needs! I love neutrals too but for some reason I just can’t do it in my space – I love color too much! I love this post! I think homes without the “collected” look tend to feel impersonal and cold. However, I don’t think this necessarily goes against the Marie Kondo method – I think she’s okay with you keeping stuff as long as you love it and see a place for it in what you want your life to be. Anyways, I just recently stumbled across your blog and will definitely keep coming back for more of this! I totally agree! I think this post could apply to someone who does do the KonMari method. There’s definitely a misconception that her method means getting rid of everything you own, when really, like you said, she’s just saying only keep what you love – which is the best advice! 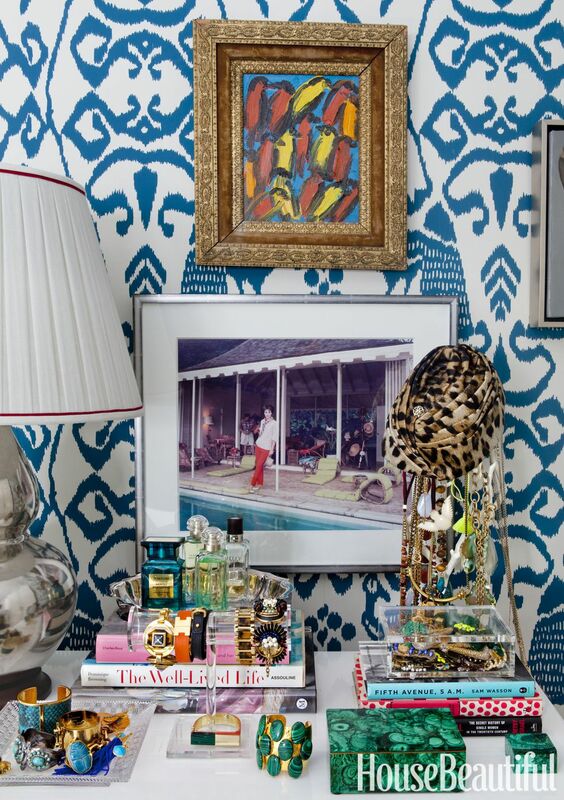 As a maximalist myself I love a lot of stuff, and I love the look of a lot of stuff, so it kind of works out. I think the problem is a lot of people keeping a lot of stuff they don’t love, yet feeling pressured to get rid of everything…that becomes overwhelming so they just keep everything and feel suffocated by stuff. It’s such an interesting topic with multiple layers. Anyway thanks for reading, I’ll definitely have more design posts coming up soon!